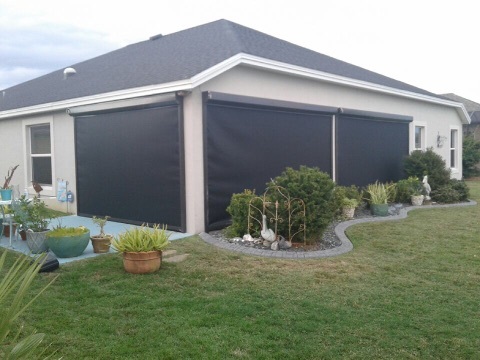 Hurricane Screen Installations in Ocala, the Villages, Gainesville, and surrounding areas. When most people are in the path of an oncoming hurricane, they spend hours moving furniture and getting their outdoor living areas ready for the storm. For those with Retractable Hurricane Screens, they leave everything as is because they know they’re protected. Our motorized hurricane screens are made with aramid and polyester fibers, the same types of material used in ballistic body armor. Comparable to an aluminum roll shutter for strength but unlike aluminum shutters, they do not block the light and you can see through them. They also have a special PVC coating that allows the screens to double as shade screens to protect from the sun’s harsh UV rays. 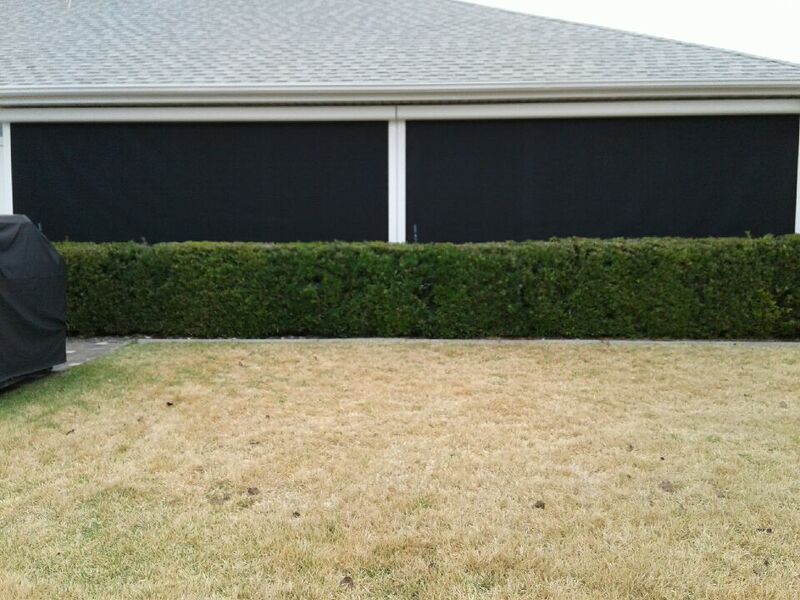 Come rain or shine, these screens provide year-round protection. Our hurricane screens are certified by Miami-Dade and the State of Florida for use in the High Velocity Hurricane Zones. We manufacture the only fabric roll shutter that outperforms metal roll shutters, so our screens last longer, withstand more, and serve more functions than any other company. With Authority Home Solutions hurricane screens you don’t have to sacrifice the asthetics of your patio to protect it. Our screens blend seamlessly with your patio, ready to deploy at a moment’s notice. After working closely with builders and architects on new construction projects, we created a system that can be designed to disappear completely from sight. We use the toughest custom engineered components on the market to make our hurricane screens. Every unit is held to the highest standards and tested using the most rigorous methods available for hurricane protection products. Why not have both?! Retractable Hurricane Screens can be paired with any of our insect, shade or weather screens into a single system. Each screen operates independently giving you what you want, when you need it.